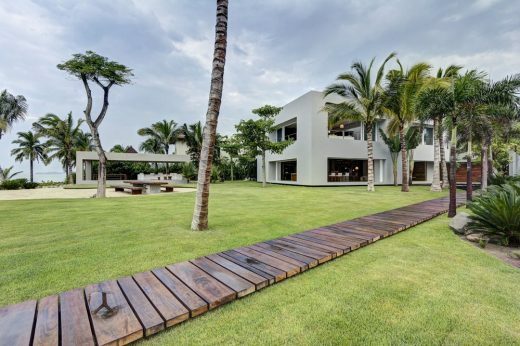 Casa La Punta is the home of an unusual client with a keen eye for design. 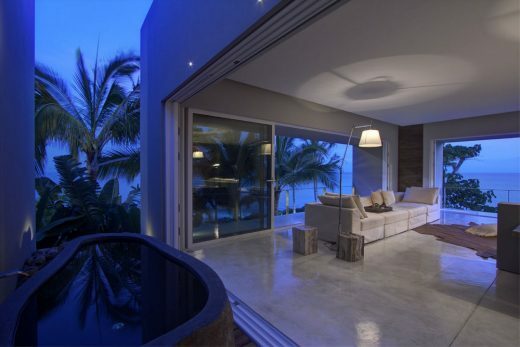 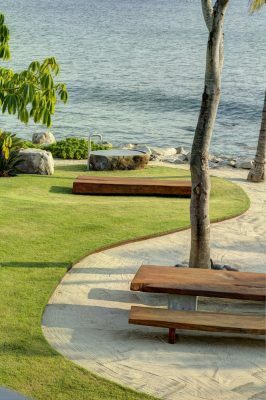 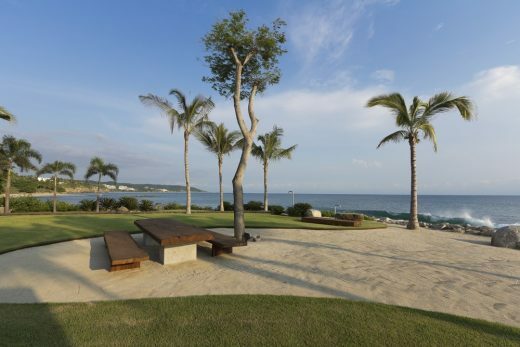 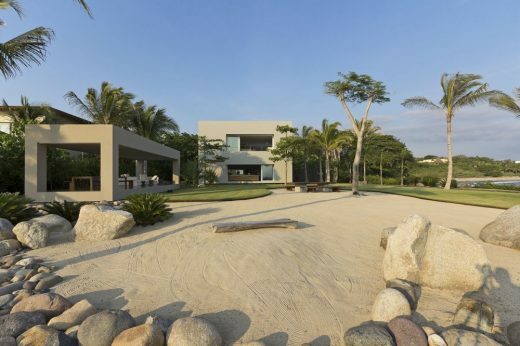 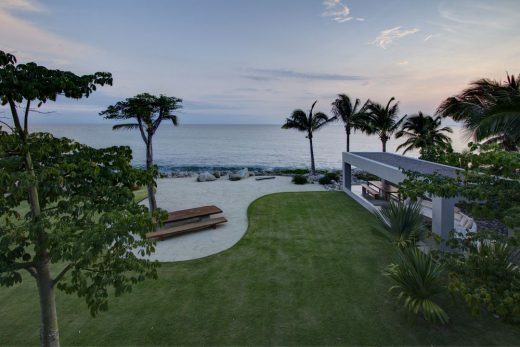 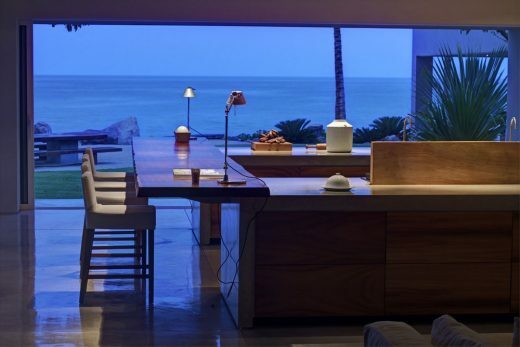 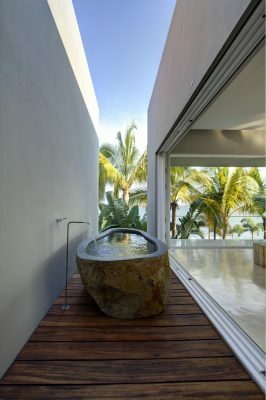 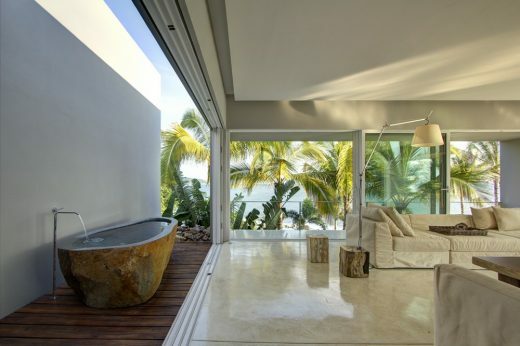 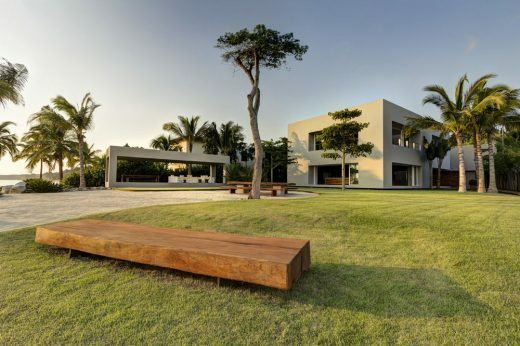 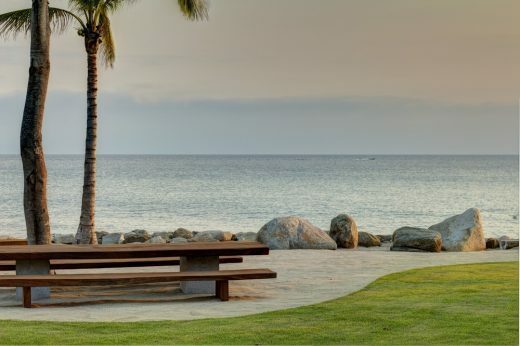 It was built in Punta Mita, a few paces from the sea, in the coast of Jalisco. 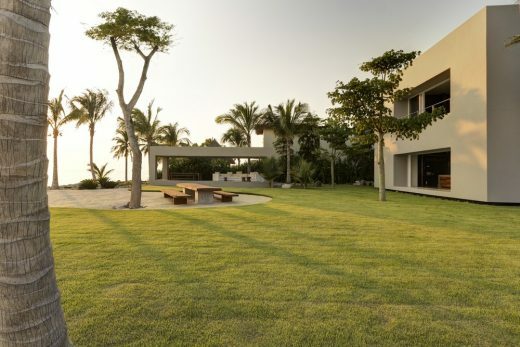 The complex appears to be a series of man-made constructions, as much as a landscape of scattered objects shaped by nature over time. 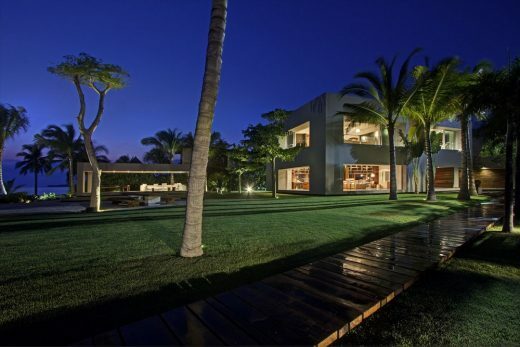 It is organized into three modules with different functions and varying degrees of openness and permeability. 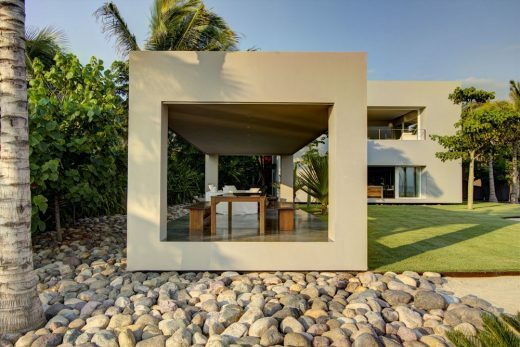 The entry module contains all service areas and houses a double height space that serves as a workshop. 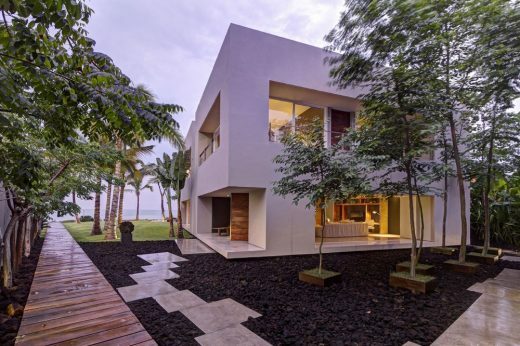 The main module encloses all living spaces, public as well as private. 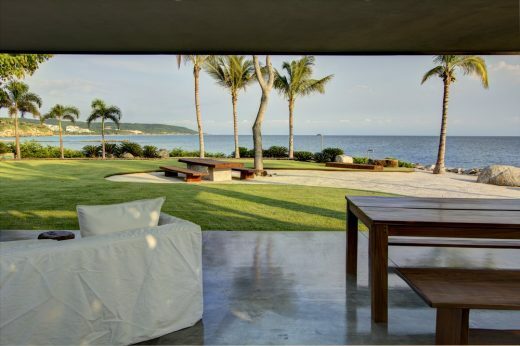 The third module consists of an elongated concrete portal with an open terrace, close to the sea. 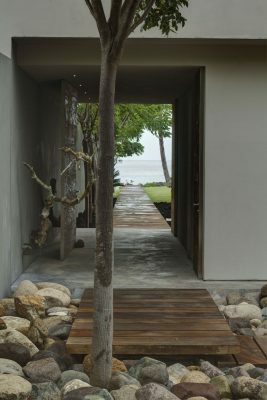 The material palette for the house includes polished concrete, solid Parota wood, natural stone, and stainless steel accents. 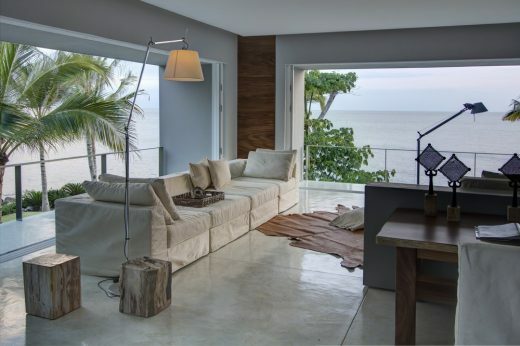 The interiors were carefully crafted and complemented with a meticulous selection of simple wooden furniture.